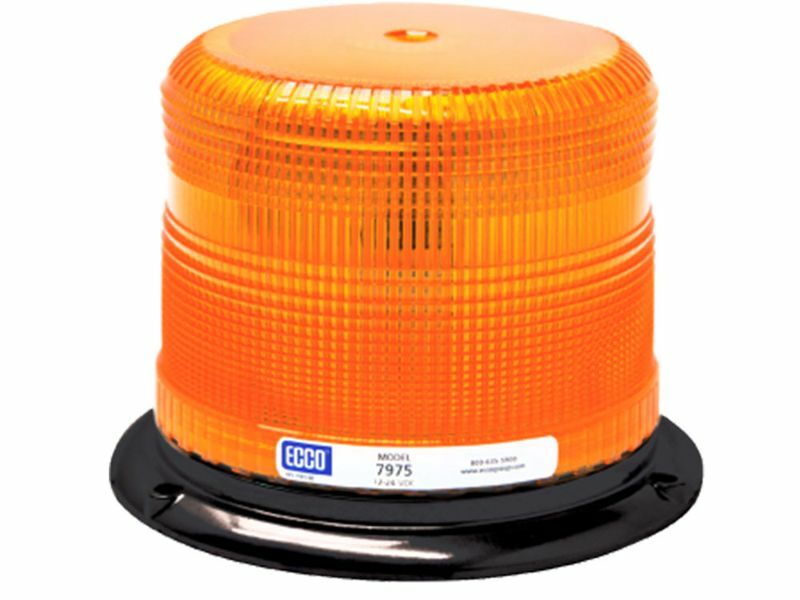 Avoid accidents and make sure you, your team, and your equipment are seen clearly with an ECCO Pulse II low profile aluminum beacon. ECCO offers these beacons in clear, amber, and green as an SAE class I light. These beacons feature 11 different flash patterns to keep you safe in any work zone. ECCO Pulse II low profile aluminum beacons offer a long maintenance free service life and have a low amp draw. Mount yours on any vehicle or equipment with the included 3 bolt / 1" pipe permanent mount. Be seen and be safe on your work site with ECCO Pulse II beacons. ECCO Pulse II beacons are backed by a limited 2 year warranty. ECCO Pulse II low profile aluminum beacons are offered with permanent mounting hardware. Select your desired flash pattern when mounting.